An international panel of experts addresses concerns they have heard from colleagues about using the implant in real-world situations. How fast does the DEX implant reduce macular edema, and in which disease states is it effective? Paolo Lanzetta, MD: The effect may be visible on optical coherence tomography (OCT) as early as the first day after implantation. In some patients, this translates to early improvement of visual acuity. This has been noted with macular edema secondary to both retinal vein occlusion (RVO) and diabetic retinopathy. Jay Chhablani, MD: In my experience, vision may improve as early as the first postoperative day; however, for those patients in whom I have obtained an OCT on postoperative day 1, I have not seen any change in edema. The earliest I have seen reduction in edema on OCT is 1 week after implantation. Michael Ober, MD: The onset of action is somewhat variable for DEX; however, for those that I examined early after injection, most have showed some response in less than a week, and this includes both RVO and uveitis patients. DEX works rapidly to reduce macular edema, often within 1 week of injection, and I have found it to be effective in most retinal vascular diseases, including DME, RVO, and uveitic macular edema. In my experience, the most rapid response can be seen in the latter 2 conditions. The fastest response rate I have seen was in a patient I treated with RVO who had resolution of edema 1 day after injection. Is there any difference in intraocular pressure (IOP) rise between DEX and intravitreal triamcinolone (IVTA) in your clinical experience? Dr. Lanzetta: The incidence of IOP rise is definitely lower after DEX use than with IVTA. Patients at risk for an elevated IOP after DEX may be the younger ones with macular edema secondary to RVO. Dr. Chhablani: IOP rise is rare with DEX, and, if it does occur, it is usually moderate (23-28 mm Hg) and easily controlled with antiglaucoma medications. Like other ophthalmologists, I have also had dreadful experiences of uncontrollable IOP rise with IVTA, with complete loss of vision in a few patients. The primary pathology also plays a role in IOP rise; for instance, IOP rise in a patient with CRVO could be due to neovascular glaucoma. Therefore, it is necessary to find out the cause for IOP rise after DEX injection, then manage accordingly. Dr. Ober: Clinical trials studying DEX showed a markedly reduced incidence and severity of steroid-induced IOP elevation compared with similar studies using IVTA. However, outside of clinical trials, I find that patients require more frequent retreatment with DEX than the every-6-month protocol used in these trials. In addition, I have rarely sent patients for filtering surgery following DEX injection. That being said, in my experience the severity of IOP elevation for the average patient appears to be less with DEX than with IVTA or fluocinolone, and it is usually controllable with topical medications. Dr. Koh: There is a significant difference in IOP rise between the 2 drugs: triamcinolone raises IOP to a greater magnitude and for longer periods. Some patients treated with IVTA may display delayed IOP rises long after cessation of therapy, meaning that these patients may require IOP monitoring on a long-term basis. Can the DEX implant be given in a patient with glaucoma? If yes, when and what precautions should be taken? Dr. Lanzetta: Usually, DEX is not the first choice in a patient with glaucoma. However, given its relatively good safety profile in terms of IOP, it may be considered when anti-VEGF agents are not indicated and glaucoma is well controlled. Dr. Chhablani: Yes, I believe DEX can be considered in a glaucoma patient whose IOP is under control and who is not a steroid responder. However, caution may be warranted in a patient with unilateral disease. Dr. Ober: Glaucoma is a relative contraindication for intravitreal steroids including DEX, IVTA, and flucinolone. Intravitreal steroids may be a second or third line treatment in glaucoma patients; however, some patients are likely to suffer permanent visual loss without intravitreal steroids (due to uveitis, chronic macular edema, or ischemic RVO). Close monitoring of IOP is required when using intravitreal steroids, as adjustments of medications and/or filtering surgery are known possibilities. Dr. Koh: It is possible to use DEX in a known glaucoma patient if it is absolutely necessary and when there are no other suitable alternative therapies available. In my view, the following conditions should be met: The patient’s glaucoma should be stable; no history of significant steroid response (>30 mm Hg rise); no indication of endstage optic findings; and not a unilateral presentation of the macular edema. I often give a trial period of topical steroid (eg, prednisolone forte 1%) to test the patient’s sensitivity and response to steroid. Is there a difference in cataract formation between DEX and IVTA? Dr. Lanzetta: The incidence is lower with DEX compared with IVTA. Dr. Chhablani: As shown in trials, cataract progression is slower with DEX compared with IVTA. As with glaucoma, the primary pathology may also play an important role in cataract formation and progression. Dr. Ober: Cataracts do develop following DEX administration, but possibly with less frequency and severity than that noted with IVTA or fluocinolone. Again, I think that patients in the clinical trials were undertreated, and, in real practice, when patients receive DEX at 3 to 4 month intervals, there may be a greater frequency of cataracts over time compared with the studies. Dr. Koh: I feel there is a significant difference in cataract formation and, more important, cataract progression. 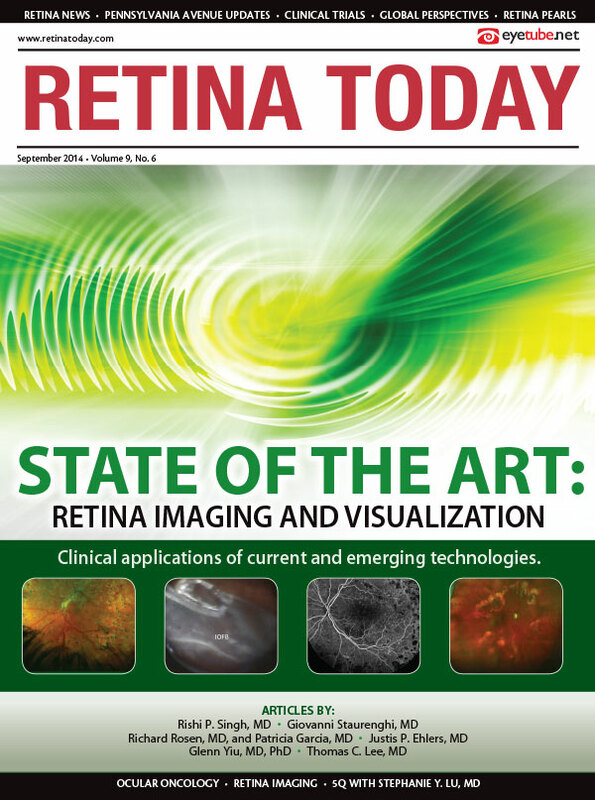 IVTA accelerates cataract formation and progression far more than DEX in most of my cases. Can the DEX implant be used in steroid responders? Dr. Chhablani: I would be reluctant to use the DEX implant in a patient who is a known steroid responder. However, if the IOP is under control, I may consider using it if there are no other options, because I believe there is less impact on IOP compared with IVTA. Dr. Koh: Yes, but with caution. If the previous steroid response was mild to moderate in severity, prophylactic medication may be an option; alternately, it may be necessary to closely monitor IOP at frequent intervals. However, if there was a marked steroid response in the past, where IOP rose more than 30 mm Hg after exposure, then I try to avoid using DEX. How effective is the DEX implant in patients with resistant or recalcitrant macular edema? Are there particular disease states involving resistant macular edema that may respond better to a DEX implant? Dr. Lanzetta: I would say that DME is a good example of a disease state that may incite difficult-to-treat macular edema that may respond to the DEX implant. I have also had patients with macular edema secondary to retinitis pigmentosa and patients with chronic and resistant macular after macular surgery for epiretinal membrane who respond well to the implant. Dr. Chhablani: The DEX implant plays an important role for patients with all forms of resistant macular edema, including those with branch and central RVO (CRVO) and DME. Dr. Ober: The DEX implant can work synergistically with other treatments such as anti-VEGF agents, laser, and topical nonsteroidal antiinflammatory drops. There can be an additive effect in certain patients with any etiology of macular edema including RVO, DME, uveitis, or postsurgical cystoid macular edema. Dr. Koh: Not all cases of resistant macular edema will respond to a DEX implant, but, in my experience, about two-thirds of patients will benefit after switching therapies. What would be your first choice for treating macular edema secondary to ischemic CRVO? Dr. Lanzetta: I would say a DEX implant if macular edema is present. Dr. Chhablani: In an eye with macular edema secondary to ischemic CRVO, I would prefer anti-VEGF injections to control the ischemic process as well, keeping in mind that neovascularization can occur once the anti-VEGF injections are stopped. The DEX implant is an option as primary therapy, but, again, my concern is about potential neovascularization with this approach. Dr. Ober: I tend to use anti-VEGF injections as first line because of the efficacy and side-effect profile. Dr. Ober: I use anti-VEGF drugs first line for ischemic RVO, but am quick to add DEX if the single agent does not yield optimal results. If there is persistent edema within 1 to 3 injections, I will not hesitate to add the DEX implant. Dr. Koh: My first choice would be to initiate therapy with an anti-VEGF agent, not just for the macular edema, but to reduce the risk of progression to retinal and iris neovascularization. After the first 3 to 6 months of therapy, and if the macular edema does not respond to anti-VEGF injection, I will consider switching to the DEX implant to control edema. In the meantime, I would consider panretinal laser photocoagulation for the peripheral ischemia. Have you observed tachyphylaxis with the DEX implant? Dr. Lanzetta: Not as frequently as with IVTA. Patients with macular edema secondary to retinitis pigmentosa tend to develop tachyphylaxis. Dr. Chhablani: I have given a few patients multiple injections, and the most DEX implants I have used in a single patient is 3. So far, however, I have not had any patients develop tachyphylaxis. Can physicians use the DEX implant to control inflammation when there is no edema in cases of uveitis? Dr. Lanzetta: Yes. It works great in patients with uveitis. Dr. Chhablani: Yes, the DEX implant helps in controlling the inflammation, especially if it is recurrent and even if there is no edema. I usually stop topical eye drops once the acute stage is controlled because the DEX implant will prevent the recurrent attacks. Dr. Ober: The DEX implant can be used to control inflammation in the absence of macular edema, especially when it allows a lowering of systemic steroids or reduced dependence on systemic immunosuppressant medications. In addition, I will use it for breakthrough inflammation in patients previously controlled with systemic immunosupressants. Dr. Koh: Certainly, it is a viable and very effective option to treat and control intraocular inflammation even in the absence of edema. Can the DEX implant replace oral steroids in patients with intermediate uveitis? Dr. Lanzetta: I do not have much experience with using the implant in this kind of situation, but in the few patients I have treated with intermediate uveitis, they have responded well. Dr. Chhablani: I believe intermediate uveitis can be controlled with the implant, and I would actually prefer this option, especially in bilateral cases, over an oral steroid, which comes with lot of side effects. Dr. Ober: It can replace or supplement oral steroids in certain patients. I always prefer local agents to systemic steroids or immunosuppressive drugs, even in bilateral cases, to minimize systemic side effects. Dr. Koh: The DEX implant is now my treatment of choice in unilateral cases of idiopathic intermediate uveitis. In bilateral cases, oral steroids would still be preferred. Which form of anesthesia do you use when using the DEX implant: peribulbar, subconjunctival, or topical? Dr. Lanzetta: I always use topical. There is no need to use a stronger anesthesia. Dr. Chhablani: I perform DEX injections under topical anesthesia. A pledget soaked with topical anesthetic can be placed at the planned injection site a few minutes before the procedure. Dr. Ober: I prefer subconjunctival lidocaine. Dr. Koh: I use both subconjunctival and topical anesthesia. Do you have a preferred quadrant in which you inject the DEX implant? Dr. Lanzetta: I aim for the inferotemporal if possible. Dr. Chhablani: I usually perform the injection in the inferotemporal quadrant. Dr. Ober: I inject in the inferotemporal quadrant the majority of the time. Dr. Koh: I prefer the inferotemporal quadrant as well. What are your criteria for retreatment with the DEX implant? Dr. Lanzetta: As soon as the edema recurs. Dr. Chhablani: I use a repeat injection when the vision drops, which usually correlates with recurrence of edema—although I have experienced the recurrence of edema before the loss of visual acuity. Multiple injections have been shown to be effective with no new safety concerns3. Dr. Ober: The response to the implant is really patient-specific, but most of the time there will be a clinically significant reduction in efficacy after about 3 to 4 months. Looking at the GENEVA study, the peak efficacy, measured in terms of BCVA, as well as peak IOP elevation, were noted at 60 days.1 After this point, there was a reduction in both. Dr. Koh: When macular edema recurs, usually between 4 to 6 months after the previous injection. There have been reports of migration of the implant to the anterior chamber. Are there particular cases that are more prone to this occurrence? Do you avoid using the implant in the presence of a posterior capsule tear? Dr. Lanzetta: Migration of the implant to the anterior chamber may be associated with endothelial damage and dysfunction. Fortunately, this is usually temporary, and the implant can be put back into to the vitreous chamber by placing the patient in the prone position with a dilated pupil. I avoid treating aphakic patients or those with a previous complicated cataract surgery with large posterior capsule tears and an intraocular lens (IOL) in the sulcus. Dr. Chhablani: Aphakia is a contraindication for the DEX implant due to potential damage to corneal endothelium4. It is really at the discretion of the treating physician whether it is safe to use the implant in the presence of a posterior capsule tear. Dr. Ober: I have seen the DEX implant migrate into the anterior chamber on several occasions. Each time, there was an anterior chamber IOL in place with a patent peripheral iridectomy. There is significant aqueous flow through the peripheral iridectomy (posterior to anterior) when an anterior chamber IOL optic obstructs the pupillary axis, especially when a core or anterior vitrectomy has been performed, which can draw the DEX pellet through the peripheral iridectomy. I do not think a capsular rupture is a reason to avoid the injection; however, an anterior chamber IOL with prior vitrectomy is certainly a risk factor for anterior migration. Dr. Koh: Aphakic patients are particularly prone to having an implant migrate into the anterior chamber. In my hands, patients with posterior capsule tear with posterior chamber IOLs are eligible for treatment, and the risk of migration is minimal. Do you use the DEX implant in combination therapy? Dr. Lanzetta: In diabetic patients with retinopathy, my preferred combination therapy is the DEX implant in conjunction with cataract surgery. Dr. Chhablani: I have limited experience with combination therapy with the implant; however, recent literature has showed that anti-VEGF injections help in early resolution of edema and the DEX implant helps in long-term control of edema.5 I believe further research is needed to answer this question fully. Dr. Ober: I frequently use combination therapy in patients with macular edema due to RVO, DME, or uveitis. There appears to be an additive effect in resistant cases when a single agent is not effective in eliminating edema. Most commonly this occurs with an ischemic CRVO in which DEX or anti-VEGF therapy alone reduces but does not eliminate edema. The addition of a second agent (usually an anti-VEGF injection added monthly after the implant), will further reduce or eliminate the residual cystoid macular edema. What if the implant breaks? Does this affect efficacy of the drug? Dr. Lanzetta: I have not had a case in which the implant broke during implantation. It usually gradually dissolves within the eye with time without a true break. Dr. Chhablani: I have seen the implant break apart at or around the fourth month, but I do not think it affected efficacy of the implant. Dr. Ober: A broken implant could in theory reduce the duration of effect; however, it does happen in practice and I have not noted a significant difference clinically compared with an intact implant. Dr. Koh: The efficacy is unchanged even when the implant fractures or breaks into pieces. What if the implant cannot be visualized after injection? Should the surgeon do anything? Dr. Lanzetta: This is a common occurrence in many patients. Simply wait and see if there is a change in the macular edema. Dr. Chhablani: Sometimes the implant gets stuck near the ora serrata and it is, therefore, not easily visible. Dr. Ober: I tell colleagues to look directly at the tip of the injector for the white implant before injecting; depress the actuator fully until it clicks; then look again at the tip of the injector after removing it from the eye. If this procedure is followed, the implant is in the eye, although it can be sitting over the pars plana. I no longer make a big effort to view the implant after injection. Dr. Koh: The implant usually settles into the vitreous base, so the surgeon can perform scleral indentation with binocular indirect ophthalmoscopy to identify its location. If it is not visible, the implant might have displaced inferiorly or even migrated anteriorly. What is your experience with the DEX implant in vitrectomized eyes? Dr. Ober: DEX is the most effective currently available intravitreal steroid in a vitrectomized eye. I find that it performs with very similar pharmacokinetics to a nonvitrectomized eye. Dr. Koh: DEX is a very good option for treating macular edema in vitrectomized eyes, mainly because the vitreous half-life for anti-VEGF drugs is markedly reduced in these patients. The slow release mechanism makes DEX an ideal choice for these cases. Would you consider using the DEX implant in any of the following scenarios: a pregnant woman, pediatric uveitis, or a patient in whom oral steroids are contraindicated? Dr. Lanzetta: Yes, definitely. I would be cautious in pediatric patients due to possible IOP increase. However, it may be the most reasonable option. Dr. Chhablani: DEX can be used in situations in which oral steroids are contraindicated. We have limited experience with pediatric uveitis; however, the implant should have similar efficacy in children as in adults. We do not have any safety data in pregnant women, and therefore, it should be used during pregnancy only if the potential benefit justifies the potential risk to the fetus. What is your approach to using the DEX implant in conjunction with phacoemulsification in uveitis? Do you administer the implant just before the surgery or a week before? Dr. Lanzetta: Usually at the end of cataract surgery. Dr. Chhablani: We usually perform cataract surgery in uveitis once the inflammation is under control for at least 3 to 4 months, therefore, we will inject a DEX implant at the time of cataract surgery to control the postoperative inflammation. Dr. Ober: I usually inject 1 to 2 weeks prior to surgery in cases in which it is required. Dr. Koh: I I tend to prefer to treat patients 1 to 2 weeks before cataract surgery, primarily to control inflammation prior to surgery. If that is not feasible, then injecting DEX at the time of surgery is a viable option as well. Will the pellet cause any damage due to its projectile speed or motion? Dr. Koh: Not in my experience. The entry is controlled and gentle. Extra care must be exercised in vitrectomized eyes, in case the implant is pushed into the vitreous cavity rather than becoming attached to the vitreous base. Jay Chhablani, MD, is a vitreoretinal consultant at LV Prasad Eye Institute, Kallam Anji Reddy Campus in Banjara Hills, Hyderabad, India. He did not acknowledge any financial relationships with the companies or products mentioned herein. Dr. Chhablani may be reached at jay.chhablani@gmail.com. Adrian H. C. Koh, MBBS, MMed (Ophth), FRCS(Ed), FAMS, is director and senior consultant ophthalmic surgeon at Eye & Retina Surgeons in Singapore. He is a consulatant for and has received lecture fees from Allergan, Inc. Dr. Koh may be reached at+ 65 6738 2000; fax: + 65 6738 2111; dradriankoh@eyeretinasurgeons.com. Paolo Lanzetta, MD, is an associate professor in the department of ophthalmology at the University of Udine, Italy. He is a consultant for Alcon Laboratories; Allergan, Inc.; Bausch + Lomb; Bayer; Novartis; Roche; and Teva. Dr. Lanzetta may be reached at +39 0432 559 905; fax: +39 0432 559 904; atpaolo.lanzetta@uniud.it. Michael D. Ober, MD, practices with Retina Consultants of Michigan and is a member of the adjunct teaching faculty, department of ophthalmology, Henry Ford Health Systems, Detroit, Michigan. He is a consultant and speaker for Allergan, Inc.. Dr. Ober may be reached at obermike@gmail.com. 1. Haller JA, Bandello F, Belfort R Jr, et al. Dexamethasone intravitreal implant in patients with macular edema related to branch or central retinal vein occlusion twelve-month study results. Ophthalmology. 2011;118:2453-2460. Lowder C, Belfort R Jr, Lightman S, et al. Dexamethasone intravitreal implant for noninfectious intermediate or posterior uveitis. Arch Ophthalmol. 2011;129: 545-553. Capone A Jr, Singer MA, Dodwell DG, et al. Efficacy and safety of two or more dexamethasone intravitreal implant injections for treatment of macular edema related to retinal vein occlusion (Shasta study). Retina. 2014;34:342-351. Bansal R, Bansal P, Kulkarni P, et al. Wandering Ozurde implant. J Ophthalmic Inflamm Infect. 2012;2:1-5. Singer MA, Bell DJ, Woods P, et al. Effect of combination therapy with bevacizumab and dexamethasone intravitreal implant in patients with retinal vein occlusion. Retina. 2012;32:1289-1294. Chang-Lin JE, Burke JA, Peng Q, et al. Pharmacokinetics of a sustained-release dexamethasone intravitreal implant in vitrectomized and nonvitrectomized eyes. Invest Ophthalmol Vis Sci. 2011;52:4605-4609. Adan A, Pelegrin L, Rey A, et al. Dexamethasone intravitreal implant for treatment of uveitic persistent cystoid macular edema in vitrectomized patients. Retina. 2013;33:1435-1440. Boyer DS, Faber D, Gupta S, et al. Dexamethasone intravitreal implant for treatment of diabetic macular edema in vitrectomized patients. Retina. 2011;31:915-923. Meyer CH, Klein A, Alten F, et al. Release and velocity of micronized dexamethasone implants with an intravitreal drug delivery system: kinematic analysis with a high-speed camera. Retina. 2012;32:2133-2140.